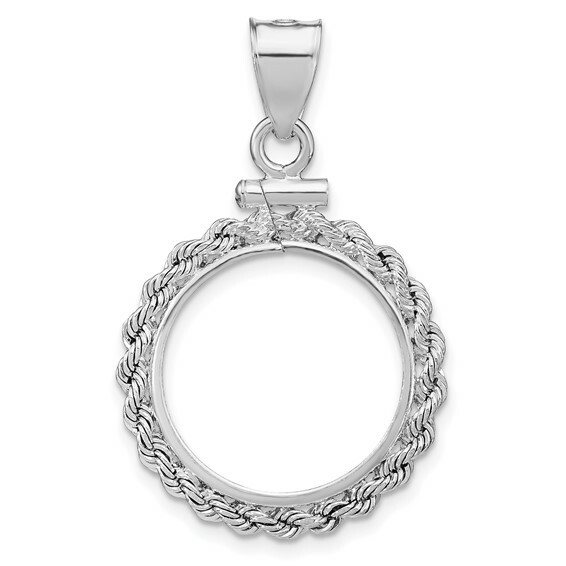 This sterling silver dime coin bezel pendant has a rope border. Fits all dimes. Screw top for easy mounting of your favorite dime. Fits up to a 3mm wide chain. Coin not included. Made in the USA.